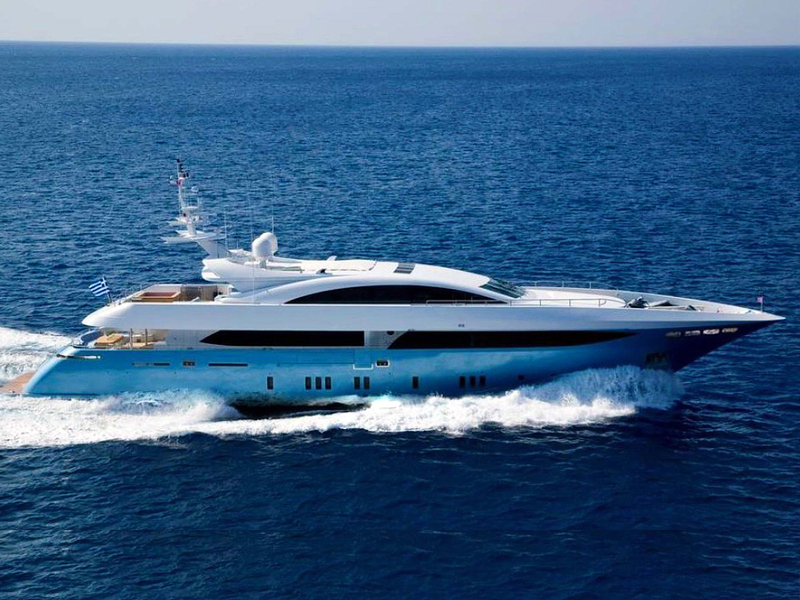 MARLA is a 50m (164.04ft) motor yacht built by Amels (Netherlands) in 1999 and last refitted in 2015. Responsible for her interior and beautifull exterior design is Terence Disdale. Her previously name was T.J. Esperanza. 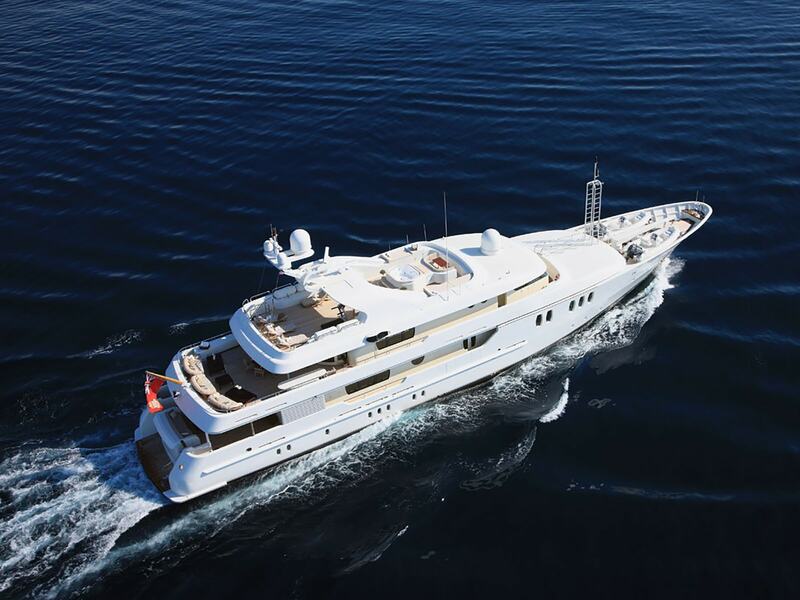 M/Y MARLA‘s elegant interior offers a welcoming and comfortable atmosphere. Timeless styling, beautiful furnishings and ample seating throughout her living spaces, create an elegant and comfortable environment. 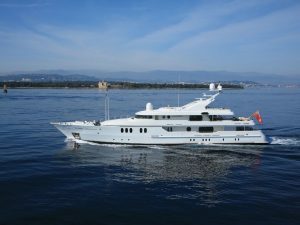 M/Y MARLA‘s spacious exterior provides many options for al fresco dinning, relaxing areas and plenty of water toys for her guests entertainment. 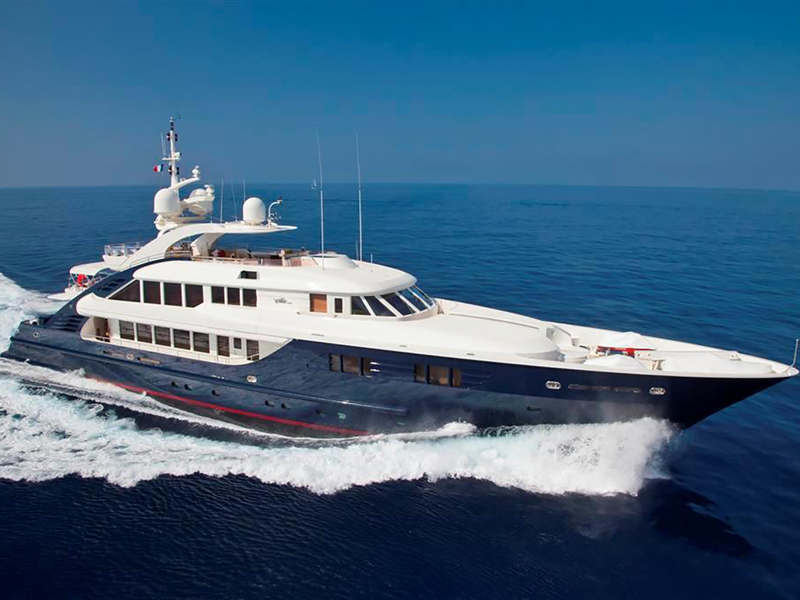 M/Y MARLA accommodates 12 guests in 6 cabins, including 1 Master, 1 VIP, 3 Twin, one with 1 pullman bed. 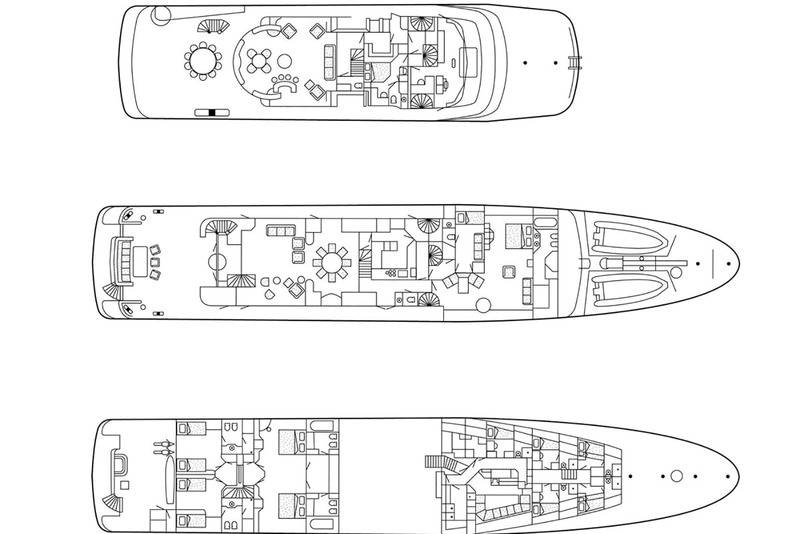 On the main deck is located a full width master cabins. On the lower deck is 2 double staterooms with bath and 2 twin staterooms with showers. There is also, a single cabin located aft of the master cabin, with shower and head which is suitable for a child. 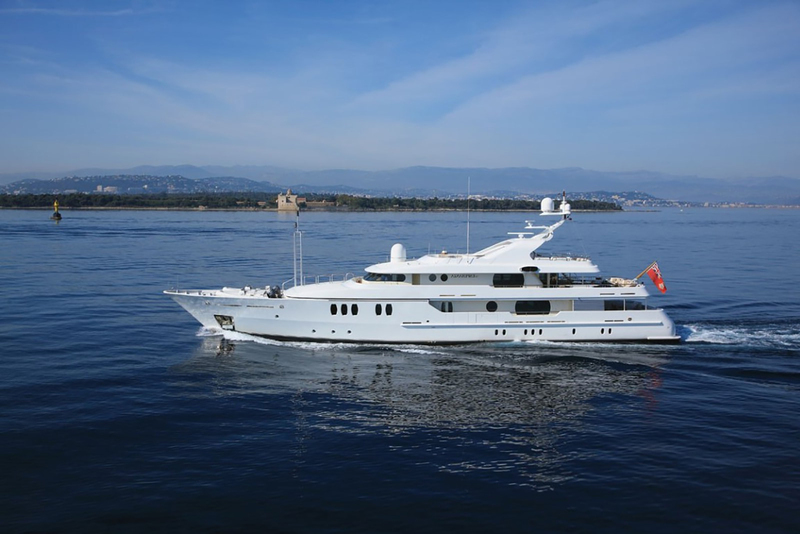 M/Y MARLA, has a wide range of extra facilities and amenities for guests on board to enjoy. M/Y MARLA is the perfect motor yacht for your vacations in Greek islands.